Morrisons has launched its long awaited online food offer Morrisons.com today as it seeks to "set new standards for the delivery of fresh food in the UK". The supermarket has launched its grocery e-commerce offer after striking a partnership with Ocado in June, and deliveries will begin across "much of the Midlands" from 10 January. Morrisons wants to bring its proposition of "fresh food prepared by butchers, bakers and fishmongers" to its online offering with features including a "virtual butcher", which allows customers to choose how thickly their steak is cut. The butchery orders will be prepared at manufacturing sites by butchers that have been trained at the Morrisons Academy training centre. In order to ensure freshness of the orders, Morrisons has introduced a "rosette" rating system that will give customers an "honest assessment" of the quality and seasonality of every item. Customers will be able to check the freshenss of the products on the doorstep before they accept them, while items will be delivered in a one hour time slot because the supermarket claims "two hours is too long to wait". Dalton Philips, chief executive at Morrisons, said: "This fresh food offer will be the closest thing on the internet to being in a store and selecting food yourself. Customers do have concerns about buying fresh food online and today we believe we’ve come up with the answer." Morrisons hopes to cover half of the country by the beginning of 2015. 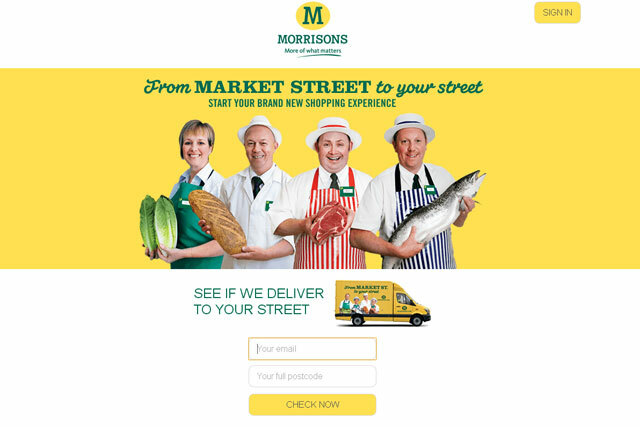 Simon Thompson, managing director for online food at Morrisons, added: "We would love the customers to use the on-site feedback buttons to let us know how we can make our offer even better."